Source user and Global secuirty group is synchronized to target domain. How to Recover NSF file into PST file ? I need your help to find out quest solution for AD and mailbox migration for below scenario. 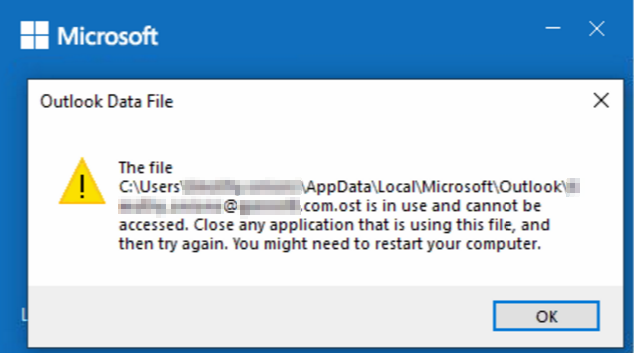 After migrating machines to another domain, Outlook 2016/365 hangs at the loading profile screen, then displays this first error. Migration Manager for AD 8.14 RUM console error 0x0000005 Access is denied. 4/5/2019 4:03:12 PM 3132 Remote computer's operating system: Windows 7 Enterprise Edition x64, build 7601, Service Pack 1. I have a workstation on which vMover stuck everytime and after 12hrs of processing it times out. I need to migrate AD objects between an AD domain and a AD LDS. Can QMM be able to do this ? Nothing in the official documentation says that It is possible.